Green Lanes School was opened in 1940, the headmaster being Mr.V. W. Brown. 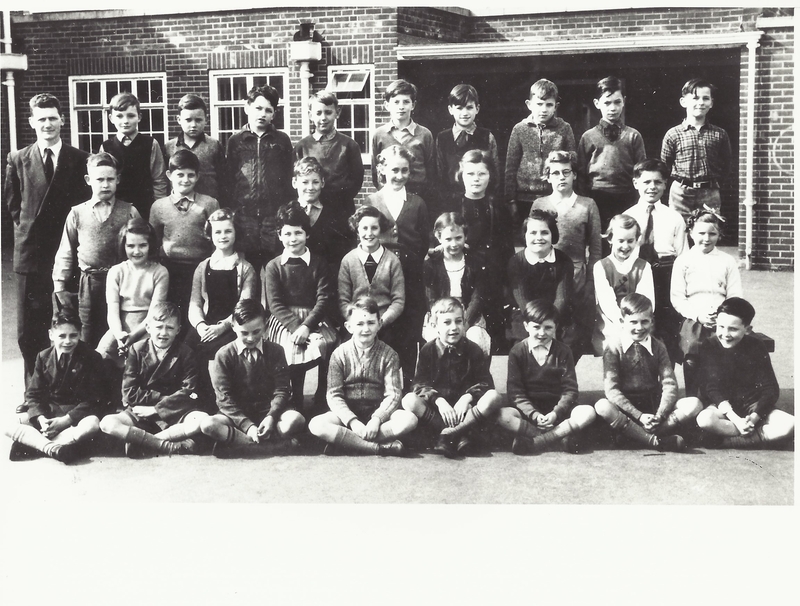 It took pupils from the Garden Village, the Birchwood area, Wellfield Road and some from Ellenbrook, whose parents worked both at the de Havilland Aircraft Co. and the Box Factory. Photo 1: Back row: Mrs Edwards. 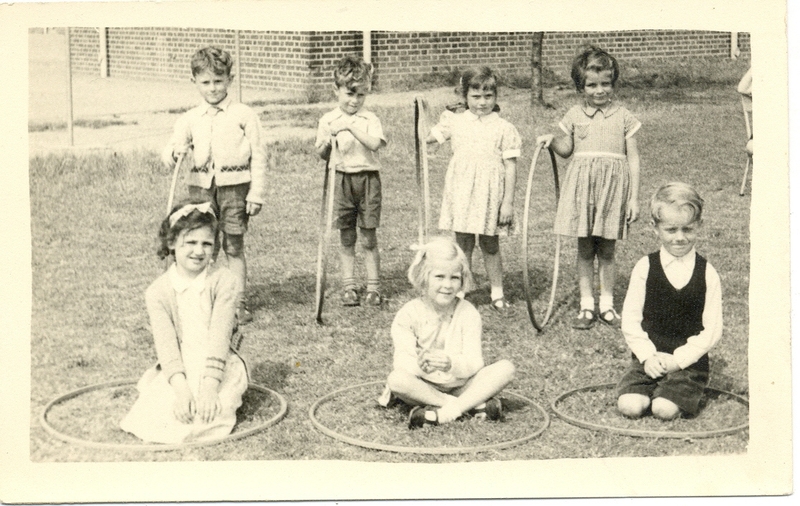 Third Row:Left to right Raymond Skimmins ?Caswell, Barbara Ashworth, Pam Taylor, June Collins, ? 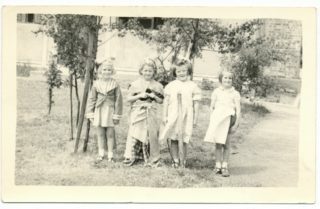 , Mary Devite, Daphne Raymond, ?, Marie Weir, ? , ? , Anita Sprague, John Routledge. Second Row:Left to right ?, Mollie Cross, Yvonne Walsingham, Janet Baglin, Brenda Partington, ?, Valerie Partridge, ?, ?, Eileen Gent, Brenda?,, Doreen Wigglesworth. Front Row: left to right ?Caswell, ? , ? , Peter Loades, Billy Fry, ? , Gordon Richards, ? , Bryan Edgecombe, Ernest Sudders. 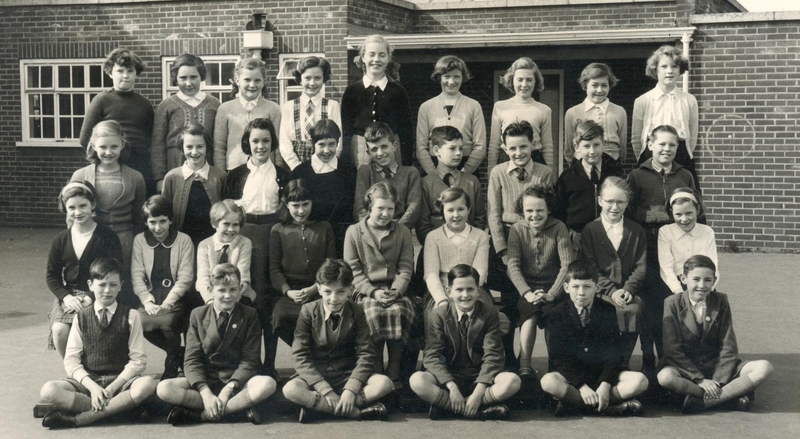 I myself was a pupil there from 1951 to 1959. The other pictures on this page were taken, I believe, when I was in Class 1. Photo 5: Left to right Jean Cross, ?, ?, ? The Headmaster was Mr. V.W. 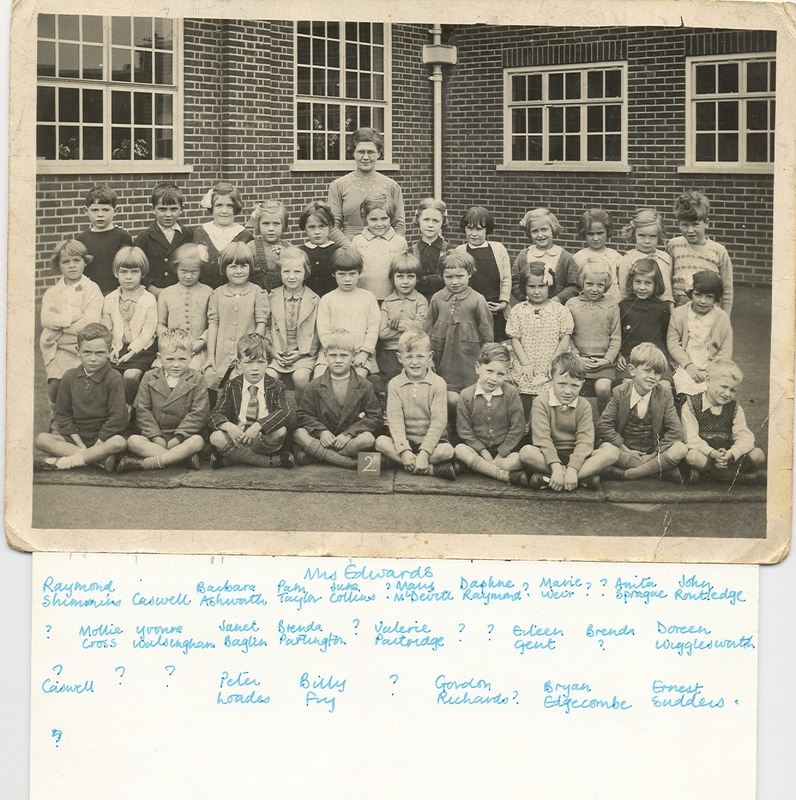 Brown, teachers included Miss Robin Wells, Mrs. Gaskin, Mr Churn (Class 7), Mr.Myers Mrs Flatman (Class 8), Miss Davies. Mrs Whybrow was School Secretary. The kitchen staff included Mrs Bradshaw and Mrs. Kedge – both of whose daughters were pupils at the school. Photo 6: Back Row L to R: Shirley Sykes, Linda? 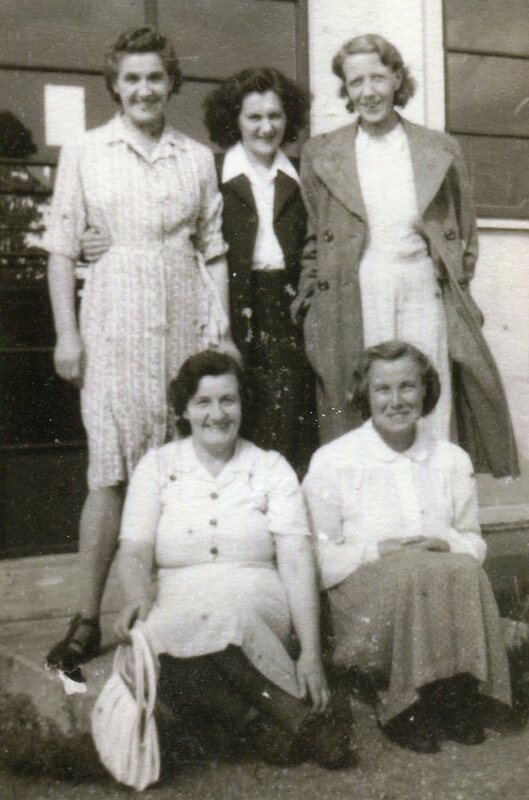 Hazel Needham, Elaine Johnson, Angela Brown, Linda Pugsley, Maureen Walker, Linda Linton. Third Row: Carolyn Owen, Penny Rogers, Jean Cross, Jennifer Glassock, ?, Janet Ravenell, Carol Bradwell, Jill Biggs, Penny ?, Pamela Adams. Front Row: Alan Sinner, Christopher Hitchins, Michael Pestle, Clifford Doggerell, Roger Hinds, ?. 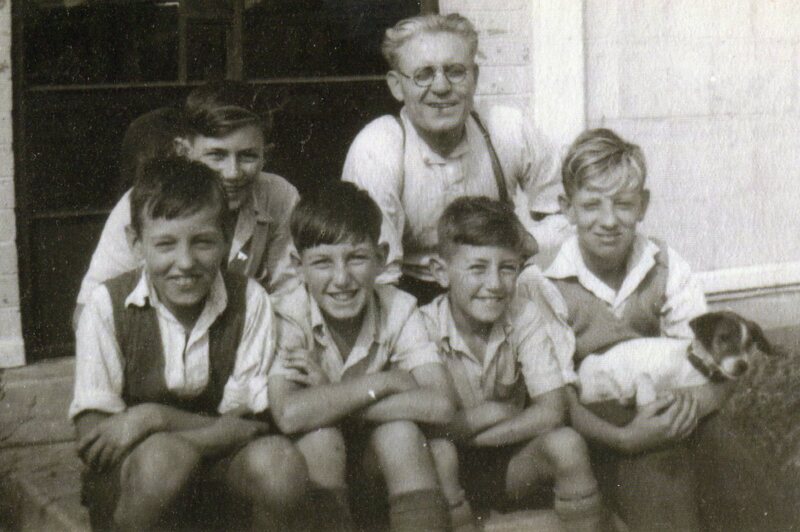 Photo 7: Can you identify anyone in this picture? This page was added on 18/11/2014. Just remembered another name – Michael Thorpe! i don’t know how I could I have forgotten – I had such a crush on him! I see another person remembers Janina and some of the other names are beginning to sound familiar now I reread them. Seems I spelt the violin teacher’s name incorrectly. Disappointing as spelling was one of the things I could actually do as opposed to subjects like mathematics! I attended Green Lanes from my second junior school year until leaving for Hatfield Girls Grammar School as it was known then, in 1966. After two years there we moved to the United States for one year, returned to Hertfordshire for the next year, and then relocated to Bermuda, where I reside today. I remember a few names, but as I have attended so many schools it is hard to recall which names belong to which schools for those formative years. Mr. Miller and Miss Wells I do have a recollection of, and I remember Miss Wells had just written a book for children about an elephant. In class one day she let us trace an image of the baby elephant from one of the pages, and I still have that traced drawing! The food was good compared to that of the Newtown Primary School which I had attended prior to going to Green Lanes. One of my friends was a girl called Helen Lyon, and I remember taking the bus from St. Albans to where my family had just moved, with a packet of Licorice Allsorts in hand for Helen, hoping to cheer her up as she had broken her arm and it was in a cast. I cannot remember her address but I think it was opposite the deHavilland’s field. Some other pupil’s names which come to mind are Christine Grace, John East, and Paul East, with those two boys not being related. Another recollection I have is contributing to the purchase of salt and pepper shakers for one of the teachers at the end of the school year and the conclusion of junior school actually for us, for a female teacher but unfortunately I cannot remember the names of either the student or the teacher. We made our purchase from a little newsagent shop at the end of the lane. Mr. Gasparian, the Polish peripatetic violin teacher, held lessons in a second floor classroom. He also taught at Newtown Primary School and he was the reason my parents decided to move me to Green Lanes. I had started lessons with Mr. Gasparian and he told my parents I would get an extra lesson each week because he taught at Green Lanes more days out if the week. It proved to be a good move as I preferred everything about the school and enjoyed my violin lessons. The star of our classes was a girl who was also from Poland, called Janina Straletska (sp?). She was very talented and was his favourite! Helen Lyon used to play the violin too. I am so glad I stumbled upon this site whilst searching for HGGS which is now school of a different name. If anyone remembers some of the people I have mentioned or others who would have been at the school around the same time, it would be great to hear from them. My name now is Jean Gardner but then it was Jean Hallatt, and. my father taught at the Burleigh Secondary Modern School, located in a different area of Hatfield. 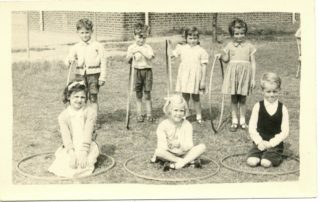 One of our teachers used to take us on nature walks through little country lanes around the school which was very enjoyable. Those were the days, hey? I went to Green Lanes from 1946 until ’48. I remember Mr Brown. I think I was number 617 and recall Enid Martin, Patricia Vaughan, Michael Hall (who became a fireman) and Robin Loads. I lived with my mum and maternal grandparents at 29 Holme Road. From there we moved around the County as my Dad was a policeman living in Hitchin, Letchworth, Essendon and Hertford. From there I entered the RAF as an apprentice and worked on Comets, Canberras and finally Lightnings. My grandfather worked at De Havillands and gave me my love of aircraft which I still have today. My name is Jennifer Hunt (Bagnall). I was at Green Lanes from 1956 until 1962. Does anyone have any photos of the school or classes from then or indeed is anyone on here who remembers me? 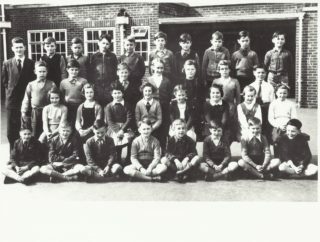 How lovely to find photos of the old school. Oh, what memories this page brings back. 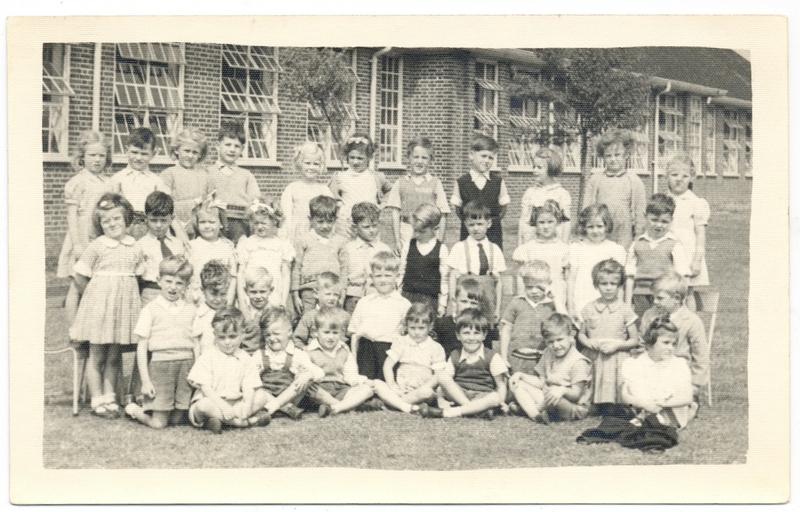 I went to Green Lanes Primary School from 1955 to 1961. Looking at all the photos it is amazing how many people I remember. 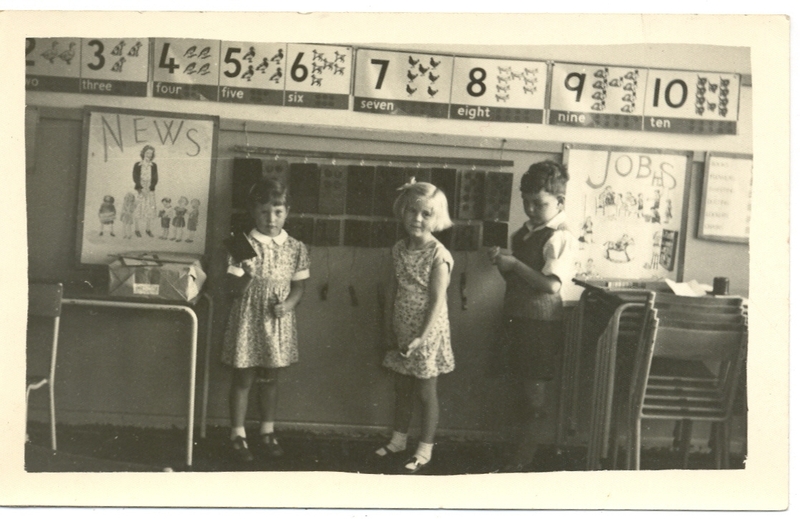 My brother, Alan Skinner is in Photo 6 – bottom left. He was a bit older than me but I knew all his friends. I remember I hadn’t been going to school very long when Sandra O’Connell didn’t want to walk home on her own so I went with her to her house without telling my mum. In those days we walked home without being collected by our parents. I got into deep trouble about that. I remember Mr. Brown, Mrs. Flatman, Mr. Churn, Robin Wells. Robin used to drive to school in her land rover – she had a riding school over at Digswell and I was in complete awe of her because I was horse mad. Robert Middleditch died in a car accident. He was friends with my friend Isabel Greig, who lived next door to me at 35 Green Lanes. I still pass the school from time to time and think about those lovely days. I especially remember delivering the tea tray to Mr. Brown at break time and sometimes he would let me have the biscuits. They were home made and delicious. From left to right – top row:- Shirley Sykes, Linda Pollard, Hazel Needham, Elaine Johnson, Angela Brown, Linda Pugsley (me), Maureen Walker, Linda Linton, Pamela Pullinger. 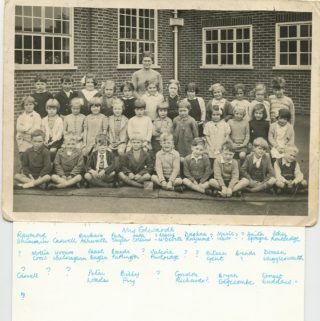 2nd row:- Ann Kedge, Susan Hicks, Helen Deverel, Diane Punter, John Hunt, John Gaskin (any relation to Miriam? ), Graham Pestle, John Richards, Raymond Stanley. 4th Row:- Alan Skinner, Christopher Hitchins, Michael Pestle, Clifford Doggrell, Roger Hinones?, last one name missing. Appologies for spelling mistakes. Some of the writing is very faded now. I am in Photo 6 Class 8 1957/58 top row 4th from the right. I have this photo and have the names of all my class mates written on the back of the photo if any one is interested. I was at Green Lanes from when we moved up from Cornwall in 1963 until I went to Hatfield school in College Lane in 1967. My Dad and Mum both worked at De Havillands. We lived at 28 Green Lanes, and I worked in Fred Titmus’s newsagents and sweet shop as a paper boy for some years. 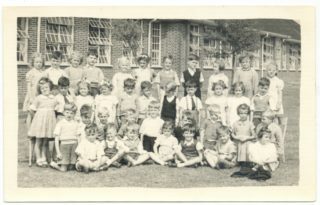 I was born 5/5/48, and went to Green Lanes Primary School from just before my 5th birthday in 1953 until my 11th birthday in 1959. My family were living in Longmead, Hatfield. Dad worked at De Havillands Aircraft factory. Are there any school photos from those days? Of course I remember you, Rod. Would love to hear from you! Fond memories of Uncle Ern and Aunty Ginger. Hello Linda, you might not remember me. I was talking to uncle Tony on the phone and you were mentioned, so I took the liberty to message you; hope you don’t mind. Hope you message back. I remember so many people from Green Lanes,. I have always loved my food, and loved the “mash” we used to get for seconds. I remember making smelly glue with Mr Brown. He told me it was made from horse’s hooves. Linda says she remembers John Middleditch. I am not sure but think he was killed in a car accident. I remember Alan Parsons, Valerie Skelton who sadly died so very young, Jeremy Sowerby who emigrated to Australia. I remember you Linda! I was Jackie Hussey and also went to GL from 58-64. I think we might have been in the same class for a while? I was best friends with Sheila Watt. I remember Susan Newman, Violet Notley from our neighbourhood and many more. It was Mrs Merryfield who was my favourite teacher. She had a daughter who was older than us and went to the school too. I remember most of the teachers. Miss Davis (Davies) who took the Class 1 for years and gave us a good grounding in the three Rs! Lovely school!